Spring brings us warmer weather, longer sunnier days, and so much beauty. It’s time to bring that same beauty into your home or office. Here are a few window treatment ideas to help bring life to your space this season. Curtains, whether ripple fold or pinch pleat, add a hint of elegance to any space. Choosing drapery with a sheer fabric allow you to enjoy the sunlight and Spring views without sacrificing privacy. 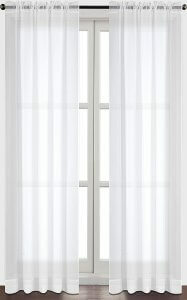 Solar shades are energy efficient window treatments. They help protect your home, art, and furniture from harsh UV rays and prevent excessive sunlight from getting in. With many levels of “openness” available, you can choose how much sunlight you want to let in, and what level of privacy you prefer. For example, 1% Solar Shades offer the best view, but this also means it lets in more sunlight and heat whereas 10% solar shades offer the most energy efficiency, light filtration, and temperature control, but you lose most of your view. For more information on which openness is best for you, contact us to speak to one of our knowledgeable designers. Roman Shades add a more traditional look to a home and are available in a variety of styles. Styles include Relaxed, Flat, Butterfly, and more. Roman shades are amazing for spring because even when raised, they create a beautiful frame for any window. To make your roman shades stand out more against your decor, try adding bright “spring” colors. 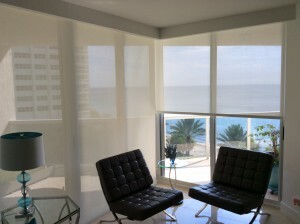 Cellular shades are considered one of the most energy efficient window treatments. They contain little pockets or cells that capture cold or heat from the outdoors, allowing the indoor temperature to remain consistent, therefore allowing you to save on energy bills. This is perfect for Spring, as the weather only gets hotter from here.If you want ultimate control of natural light and how it enters the home, ask us about Top Down/ Bottom Up options. Another benefit of cellular shades is child safety. Most designs are cordless, creating peace of mind for parents. Plantation shutters offer an array of benefits from energy efficiency due to its ability to keep hot or cold air when their slats are closed, to noise reduction. In addition to the above pros, plantation shutters allow ultimate control over how much natural light and glare you allow into your space. With a simple adjustment of its slats, you can gradually let in a bit of light or open them all the way to let the sun burst through. Closing the slats creates a room darkening effect, and also creates a cooler, shaded space. 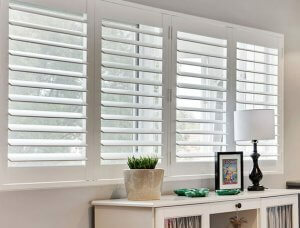 Plantation shutters are also another great child safe option as they are cordless. According to Hunter Douglas, Just as sunscreen protects your skin from the sun’s damaging rays, Silhouette shades can help protect your room’s interiors and can prevent your valuable art and furniture from fading. Depending on your fabric choices, the shadings can filter out up to 88% of the sun’s harmful rays. And of course, these shades add beauty and privacy to your home. Hunter Douglas Luminette Privacy Sheers are the modern day, more innovative alternative to vertical blinds. 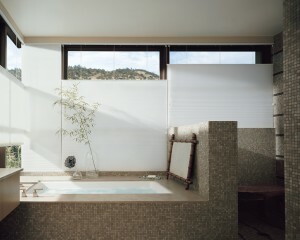 They provide the ethereal beauty of sheer drapery panels along with variable light control and privacy. This Option is the perfect choice for wide expanses of glass, sliding doors, and other vertical applications. For information on Spring-inspired window treatments, or schedule a consultation, contact us! We’d love to help create the Spring atmosphere you’re looking for.